Note: I am not a lawyer, nor have I had any legal training. The below is only summary of my extensive research on trademarked characters and does not replace legal advice. Frozen parties. Superhero parties. Every kid wants one at least once during their party years. They’re best sellers. But should you be making, designing and selling items that contain trademarked characters? Or clip art swiped from a site? The waters of Google are a little murky, and also flooded with overseas content. Below, I sift through the most common questions and try to put them into an Aussie context. Can I use licensed characters or other images found on websites or Google for my handmade party decor offering, including printables? Only if you have permission. This is a case of applying or making a request to the company’s media or legal department, support department or direct if it’s a small business (or to the stock library if it’s found on one of those).. A fee will likely be involved. Disney have a section of their site dedicated to lisencing but I have read from various forums that permission is not easily granted to small businesses. However, this is how the likes of Bonds, Peter Alexander and Cotton On can create and sell their own designs featuring Disney characters. Note: some sites do contain completely free images and clip art. However I suggest in this instance downloading directly from the site and always checking terms rather than swiping from Google. I am unable to gain permission for some popular characters such as Batman, Snow White and Mickey Mouse. Can I use them on a party product anyway? The answer is a definite ‘No’. Aside from the fact that it’s illegal, it creates an unfair advantage in the marketplace against those of us who do our own illustrations or pay to use original creations. Also, if you think the fact that you are small makes you immune, you are wrong. There are many examples of Etsy shutting down shops or lawyers going after small businesses in the USA. The only exceptions to the rule are for education or parody (generally speaking), neither which apply to the the handmade party decor world (otherwise known as Fair Use, which is called Fair Dealing in Australia and is a little more restrictive), especially if you’re making money from it. Note: you might think that purchasing an image of a Disney or other licensed character image from a reputable stock library may infer permission to use a character commercially, it doesn’t. Have a look and you will see that official character images sold on stock libraries are only approved for editorial use. Images or designs that are ‘inspired by’ a character are not restricted. But even then, you need to buy an ‘extended lisence’ if you are going to use the image on physical products or printables. 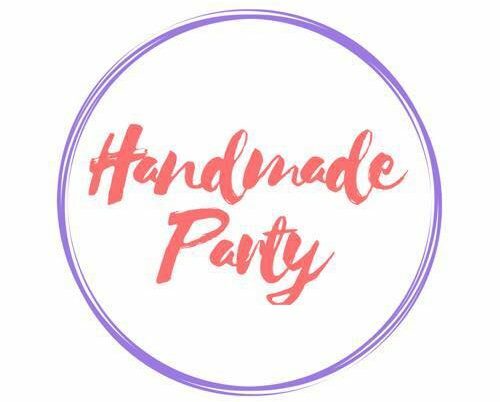 Can I incorporate official, physical lisenced products (for example, stickers or ribbon) into my handmade party product, or completely make products from lisenced paper or fabrics etc.? The information I have found mostly comes from US baking and sewing circles, where the ‘First Sale Doctrine’ comes into play (which protects the on-selling of the fabricated item). But despite this, I have also heard about sewers buying fabrics that are printed with ‘not for commercial use’ warnings. In Australia, it looks like First Use does not apply, and re-selling of content is governed by commercial distribution agreements entered into with your distributor or the copyright owner. If you believe you can legally sell an item you’ve made from lisenced materials, I think the sensible thing to do is to make it clear you are not aligned with the owner of the lisenced characters and also to ensure the materials you buy do not have explicit restrictions. In case you’re wondering, the US First Sale Doctrine does not apply to reselling soft-copies of digital works since it involves making a new copy. Can I recreate an image of a character for my products, or buy a recreation to sell on my products (so it would be a likeness but not exact)? Again, I would say no. This one is probably up for interpretation, but I cannot fathom why the law would favour someone making money off someone else’s creation. I will say the only exceptions here would be for Fair Use, if the characters are in the public domain or possibly a character that has not been given a visual manifestation (such as a book character). But if I change a work by 20%, doesn’t it mean that it is no longer copyright infringement? For as long as I remember there has been a rumour circulating that if you change something by 10% or 20%, it no longer constitutes copyright infringement. I don’t know how safe this guideline is, and I don’t think it’s as simple as a number. I’ll need to research some more, but for now, here is an interesting article I have found about this topic. Another consideration is if you do change a work by 20%, can you actually sell it? Perhaps, if the work can be considered transformative or derivative. I’ll need to look into this bit more. Either way, my understanding is that recreating (or swiping) Minnie Mouse and using a different outfit does not change it by 20%. Because it’s still understood to be Minnie Mouse, and she is someone else’s creation. But a general image of a feminine looking anthropomorphic mouse? This could possibly work. Can I sell ‘inspired by’ items? I believe the general consesus is yes, but again you would need to take care in how you use certain elements. It might be a good idea to head to a stock library and type in your character name along with ‘inspired’ (ie. ‘superman inspired) to see what kind of designs pop up (the idea being that a larger stock library would be 100% across copyright issues and not allow any artwork that might infringe copyright on their sites). Here is another interesting Aussie resource I found too. Can I freely use content and images of characters that are in the public domain due to copyright expiration? Possibly. This question assumes they they are public domain because the creator has been deceased for over certain period of time. Each country has a different time span that needs to elapse for public domain to kick in (Australian copyright information can be found here). Also, you need to be careful that copyright to certain characters has not being purchased by another organisation in the meantime, or have been renewed. The two most common ones would be Peter Rabbit and Winnie the Pooh. Note; if you sell internationally and use copyright expired content you will need to ensure your items are in line with other countries’ laws. I could go on and on. Can you create your own expression of Snow White as she is originally a character from folklore? Can you create products with product brand themes (Nike or Louis Vuitton?) These questions are beyond the scope of this article. The bottom line is that if it’s a swiped, traced, redrawn or copied element, it’s almost 100% illegal, and ignorance is not accepted as a defense. As you can see, the safest thing to do is to just avoid unauthorised usage of copyrighted images and characters. The benefit is you won’t have to deal with ugly low res images that are fuzzy, and you can support a smaller illustrator who will likely be selling original designs for you to use a a good price. Or, you can create your own characters! Read my previous blog here about where to find images for use in your projects. Does this mean I cannot create character products at all? Well…technically yes. And no. I haven’t found any information that states 100% it is illegal for personal party use. But again, I would err on the side of caution. I would say recreating an image of a character for personal use (no money exchanged) would be OK. Swiping and image of a character and adding it to a project for personal use might be too. I myself have done a combination of the above, but in both instances I do not sell the products. If I do add them to my social media, I make it clear that they are freebies for family. If you would like to plan a party around a character, and want more control over the design, I have written a blog post on my Party Lovers blog about how one can bring it together. These tips could work when designing ‘inspired by’ party decor too. Please note, a lot of the above can be applied to content created by small business owners too – copyright can and usually is enforced, so be mindful when you are browsing the content of a fellow creator.